Break out your adventurous side and enjoy a rustic retreat at Clent Hills in the West Midlands where woodland walks and stunning views are in abundance. 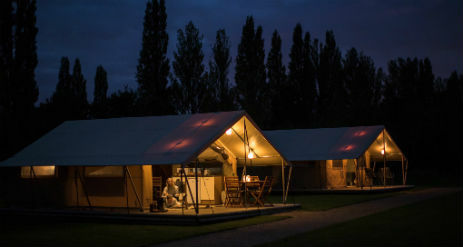 Stay in a 2-bedroom canvas-wrapped Safari Tent based at Clent Hills campsite, nestled in a secluded valley, just half and hour from the bright lights of Birmingham. 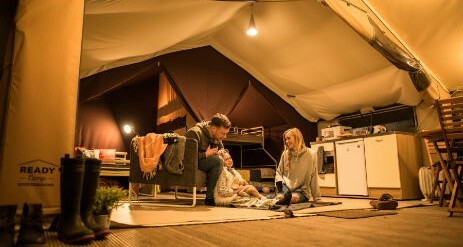 Start your outdoor adventure with a ready-prepped safari-style tent, mod cons and creature comforts. 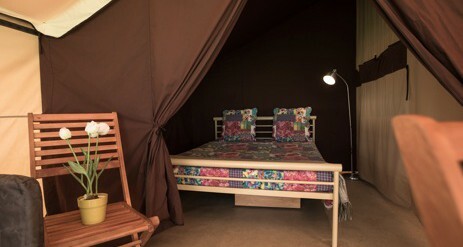 Each tent is complete with full beds, sofa and dining area adding a dash of homely comfort to your rustic getaway. 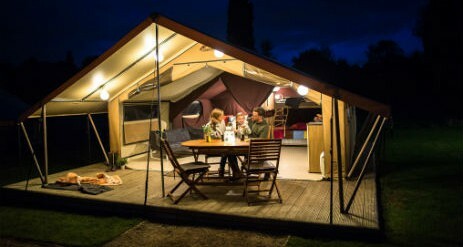 Glamping in Clent Hills is a real rural haven as it’s surrounded by wooded hills and gorgeous wide open spaces. Explore the local National Trust Estate and lose yourself in hundreds of acres of woodland and heathland or take one of the criss-crossing trails and enjoy the stunning views over the Cotswolds and Shropshire Hills. There are more great views over at Lickey Hills Country Park where you can walk up Beacon Hill to the Toposcope Fort…it’s the perfect place to fly a kite! The Park is also home to a children’s playground and Visitor Centre. The West Midland area is a happy hunting ground of stately homes, huge parks and heritage attractions, making Clent Hills the ideal location for your days out. You really do get the best of both worlds staying here at Clent Hills. Surrounded by natural beauty yet just a short drive from bustling Birmingham, it’s the perfect in-between location. Head into the city for the day to the Bull Ring, home to over 160 shops, and indulge in a little retail therapy. 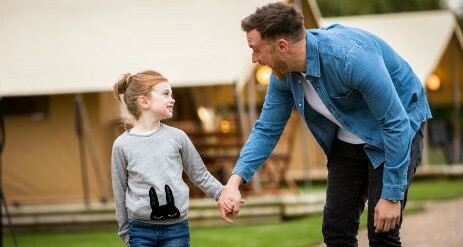 If you’ve got the children with you, take a trip to Birmingham’s Sea Life Centre or head outside the city to West Midlands Safari Park and Cadbury World. 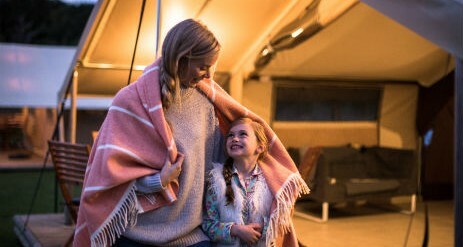 With Ready Camp, there’s no need to fill the car with camping paraphernalia and ‘just in cases’.Their ready-prepped safari-style tent are packed to the rafters with creature comforts. We’re talking real beds and bedrooms, a dining area, mini kitchen, a comfy sofa… even a corkscrew! All you need to bring is bedding, towels, tea towels, blankets if you wish for chilly nights, clothing and food. 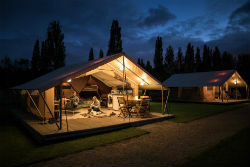 On-site facilities include a shower block, toilets, a shop, an on site holiday manager and Wi-Fi.